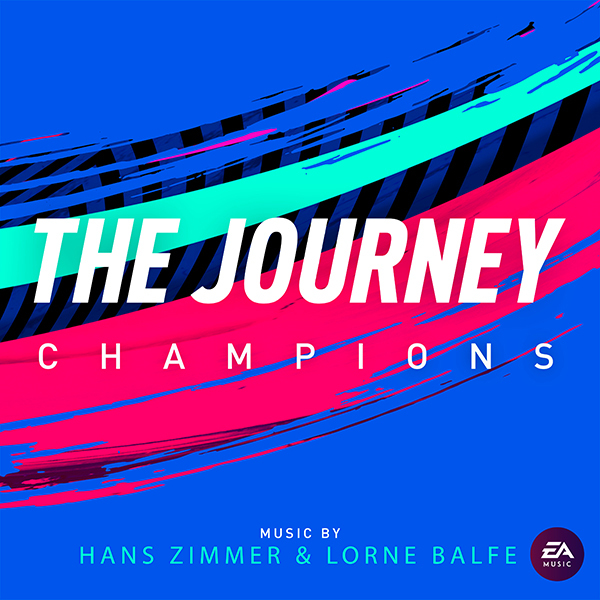 Lakeshore Records is excited to announce a new title in its partnership with Electronic Arts with the release of FIFA 19: The Journey: CHAMPIONS – Official Video Game Soundtrack. The release will feature composing legend Hans Zimmer (Oscar® and Golden Globe for Best Original Score) and composer Lorne Balfe’s (4 ASCAP Film and Television Awards for Top Box Office Films) soundtrack to The Journey: Champions, the story driven mode within FIFA 19 for the PlayStation 4, Xbox One and PC*, available worldwide September 28, 2018. The Journey, which debuted in FIFA 17, was the first of its kind. Powered by both user choice and actual match gameplay, the story driven mode focused on a single character’s career. Thanks to powerfully-rendered cinematics of the Frostbite™ engine on the PlayStation 4, Xbox One and PC versions of the game, players follow Alex Hunter as he rises to the pinnacle of world football after taking the Premier League by storm. Continued in FIFA 18 with The Journey: Hunter Returns, players return to win the MLS Cup with the LA Galaxy before heading to Europe to lead Hunter’s club to a domestic league and cup double. Reaching its dramatic conclusion in FIFA 19 with The Journey: Champions, Hunter now joins Real Madrid in the dramatic finale to chase UEFA Champions League glory with his favored number 29 shirt. In addition to releasing new soundtracks for upcoming EA titles, Lakeshore Records will also be releasing soundtracks from the vast EA catalog, including first ever soundtrack releases and reissues of out-of-print recordings. In the next few weeks, Lakeshore will be announcing releases of catalog titles including the soundtracks for top-selling EA franchises that include Dragon Age™, Battlefield™, Mass Effect™, Need For Speed™, Command & Conquer™, Titanfall™, Medal Of Honor™, and The Sims™.